The Samsung W2017 was launched last year in November, and this month, Samsung is launching its successor in China, the Samsung W2018. 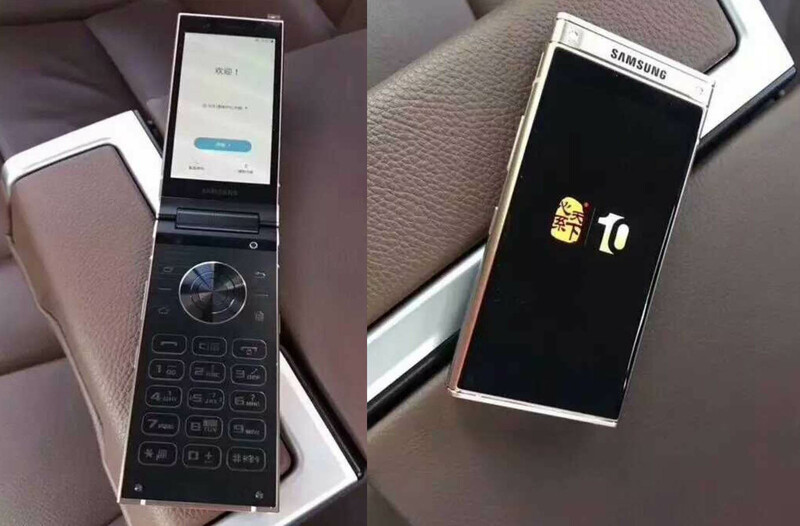 There have been a lot of leaks, including the hands-on images but today, we got to know one of the main highlights of the device.If you don’t know, along with its high-end phones, Samsung also launches a couple of high-end flip phones too, but only for the Chinese market. A few months back, LG launched V30 with impressive f/1.6 aperture lens on the rear which made it the first smartphone to feature a camera lens with such a wide aperture. After that, Huawei also launched its Mate 10 phones with dual cameras, both having the f/1.6 aperture.But, the Samsung W2018 is going a bit further as the phone will feature f/1.5 lens, making it the smartphone with largest camera aperture. Talking about other specifications of the phone, it is powered by Snapdragon 835 processor and comes with 6GB RAM + 64GB (maybe 128GB) internal storage. There is also Iris Recognition support, Bixby etc. As the images above reveal, the display size is most probably between 4-4.5 inches. Rumors suggest a 12MP rear camera and 5MP front-facing camera. We are not 100% sure if this information about the aperture is true so take it with a pinch of salt. In case it turns out true, it seems we are going to see the same aperture on Samsung’s next year’s flagships.